Merkel visited Sofia at the beginning of the Bulgarian Presidency of the Council of the EU, one day after she met with French President Emmanuel Macron in Paris to discuss EU reform, and one day ahead of a crucial vote at the SPD congress to back up another grand coalition in Germany. An EU-Turkey summit is not planned in the programme of the Presidency but the country’s foreign minister, Ekaterina Zaharieva, said on 8 January that such a summit is still possible. Merkel said that such a meeting, with the participation of the presidents of the three European institutions (Commission, Council and Parliament), was a good idea. The summit is planned for March in Varna. The date is not fixed yet but it is likely to take place during a weekend. Turkish President Recep Tayyip Erdoğan has been pushing for a EU-Turkey summit during the Bulgarian Presidency. Borissov visited Istanbul on 7 January and the former culture minister, Vezhdi Rashidov, who accompanied Borissov in Istanbul, said the prime minister raised the question of two imprisoned journalists, as a condition for such summit. Bulgaria, the European Union’s poorest member state, on 1 January took over the bloc’s six-month rotating presidency. The country will undoubtedly be under pressure by Turkey and Russia to move forward their difficult relations with the 28-members block. 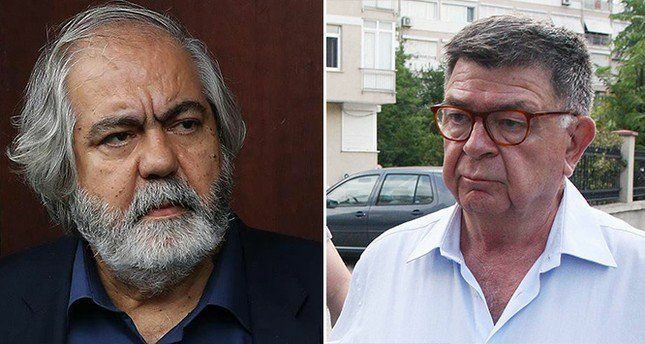 Altan and Şahin Alpay, jailed for more than year amid large-scale purges of the media and state institutions after a failed 2016 coup, were accused of links to terrorist groups and attempting to overthrow the government, charges they deny. On Friday (19 January), Istanbul’s High Criminal Court rejected a demand for release of the two journalists, despite a decision by Turkey’s Constitutional Court to free the jailed journalist that was published on the same day in the Official Gazette. In the meantime, the Turkish government has put two more journalists, Veli Büyükşahin and Veli Haydar Güleç, from the now-defunct pro-Alevi television channel TV10, behind bars. It is therefore strange that Merkel makes opening to Turkey without any gesture from Ankara on the journalists’ dossier. Merkel complimented Borissov for the “well-prepared” presidency and gave her backing for its main priority – giving a clearer perspective for the EU accession of the Western Balkans. However, she stressed that this accession is subject to criteria. “We expect a lot from the Bulgarian Presidency. It is well-prepared. The motto “United we stand strong” is the motto we need in the European Union. We fully share the goals of the Bulgarian Presidency,” she said. According to her, Bulgaria can do much about good neighbourly relations in the region. 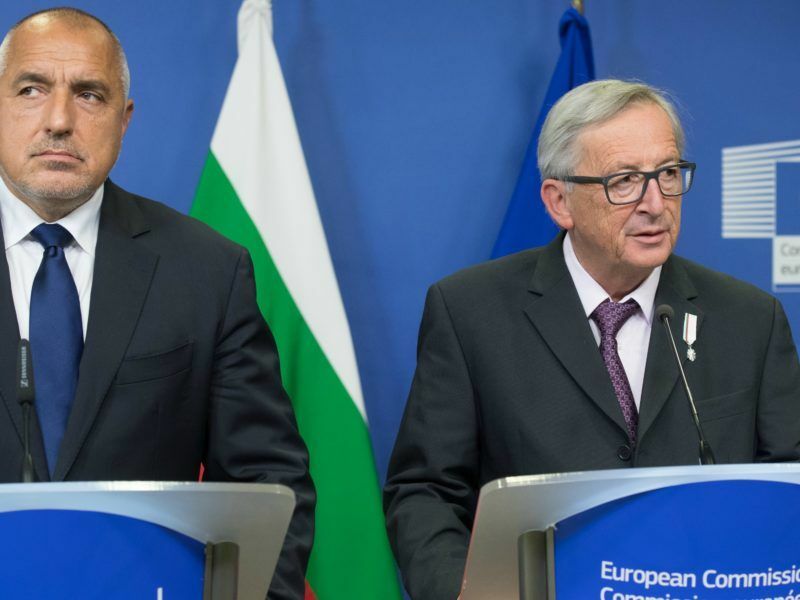 “We thank Bulgaria for how it keeps our common border, especially the Bulgarian-Turkish border” […] “I welcome the initiative of the Bulgarian Prime Minister Borissov together with the President of the European Commission and the Commission to meet with the President of Turkey and to talk openly on all issues”. The meeting will most likely take place in Varna. The Federal Chancellor welcomed the idea of building a gas hub in Varna to diversify natural gas supplies to Europe. The so-called “Balkan gas hub” to be built near Varna makes no sense in the absence of a pipeline bringing Russian gas under the Black Sea. Previously this was the South Stream project, cancelled in December 2014, when Russian President Vladimir Putin announced it during a visit in Turkey. 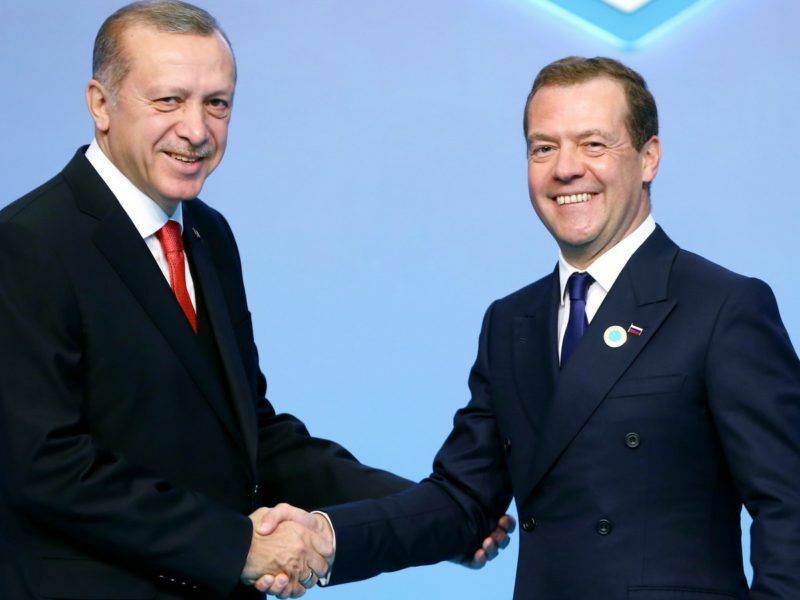 The project was replaced by Turkish Stream, designed to bring Russian gas under the Black Sea to the European territory of Turkey. But one of the two pipes could still go to Varna, following the route of South Stream. 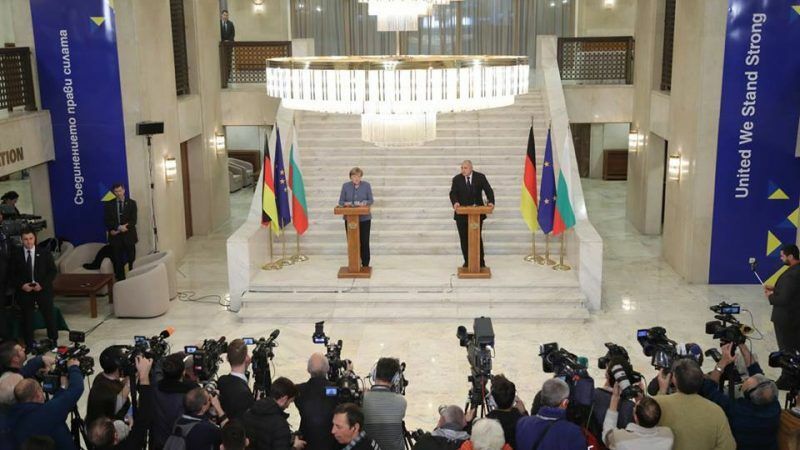 Borissov thanked Merkel for the support for the Balkan gas hub. He stressed that European funding for infrastructure projects was an incredible “gesture towards the Balkans” that helps to “the young people to stay”, as well as to attract tourists and investors in the region. “I am especially happy that the EU is conducting a peaceful, good-neighborly policy and we will do our best to normalise relations with the big neighbors because Europe needs peace and tranquility,” Borissov said. “Thank you for finding time during the weekend to come and to hear from us what we think of the Western Balkans,” the prime minister said to the Chancellor. “We all look forward to the more recent creation of a government in Germany, a country that is a motor for Europe. It is in the common good to have a government as soon as possible”, the Bulgarian Prime Minister said.